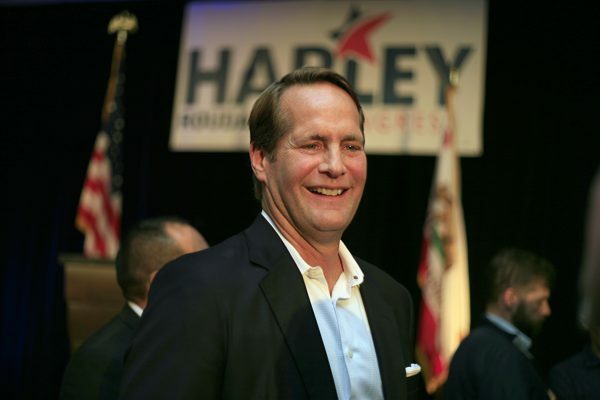 The Associated Press has called the 48th Congressional District race for Laguna Beach Democrat Harley Rouda. He unseats 30-year incumbent Dana Rohrabacher. Photo by Sara Hall. 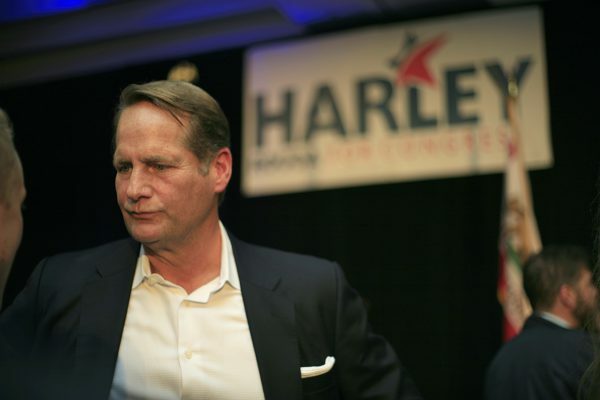 Harley Rouda’s lead over Dana Rohrabacher in the 48th Congressional District election has grown in the week since the Associated Press projected the Laguna Beach businessman would be the first Democrat to take the seat that’s been solidly Republican for 30 years. Rouda leads Rohrabacher by more than 10,000 votes, with 126,536 to 113,754 over the incumbent as of the Indy’s deadline. Last week, Rouda was up by just 2,862 votes. Following the AP decision, Rouda wrote in a statement that it’s been a privilege to work beside his supporters and make history in Orange County. In January 2017, the Laguna Beach Democratic Club dedicated itself to flipping the 48th District, which seemed like a daunting task at the time since Rohrabacher had recently been reelected by a wide margin, Club President Gary LeFebvre said. After attending a small campaign party to meet Rouda, LeFebvre said he was sold that his fellow Laguna Beach resident would make an outstanding candidate to unseat a Republican incumbent who held the seat for 30 years. Rouda leads Rohrabacher by more than 10,000 votes, with 126,536 to 113,754 over the incumbent. The Orange County Registrar of Voters estimates that there are more than 200,000 ballots from the entire county left to count. Photo by Sara Hall. LeFebvre added that he feels very proud of Rouda and the community members who supported him to mount a hard-working, well-organized campaign. “Flipping the 48th Congressional District makes a huge statement for Orange County—we are a county that wants a leader who fights for environmental issues, the LGBTQ community, business development, equal pay, education, and a woman’s right for health care,” LeFebvre said. Although the Orange County Registrar of Voters has already counted 238,551 ballots since election day, it still estimates that there are more than 200,000 ballots from the entire county left to count. Many of these are provisional ballots cast by voters who didn’t meet the voter registration deadline, and vote-by-mail ballots returned to polling places. Spokesmen for the Rohrabacher campaign and the Orange County Republican Party did not respond to requests for comment.